Every time we travel by airplane we bring my son’s car seat so that he is safe and secure. Our guy is a bit of a mover so we fear that if he was in just a lap belt he may be able to undo it and try to move around the plane. The only problem with this is that the Car Seat is heavy, bulky and a pain to cart around the airport. In an attempt to lighten our load and reduce what we have to bag check, we chose to try out the CARES 5-point Child Aviation Restraint System on a recent vacation. 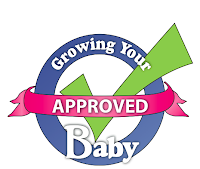 Approved for use on airplanes traveling in North America, the CARES Restraint System is a lightweight belt that slips easily over the seat to create a harness similar to the one on my son’s regular Car Seat. Loops at the bottom of the harness slip through the airplane’s lap belt giving you the safety of a 5-point harness without the extra 30lbs the seat comes with. Not knowing what to expect, I informed the flight attendants of our plans to use the CARES harness as soon as we boarded our US Airlines flight. We were immediately told that we were not allowed to use the harness as it interfered with their seating. 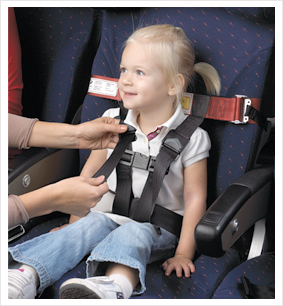 Thankfully CARES had included printed copies from Transport Canada and The Federal Aviation Administration’s websites outlining the child restraint system’s purpose, weight limit and sub-section code. At this point we were asked to leave the paperwork with the flight attendants and were told they would let us know if their ‘book’ said it was ok.
After just a few minutes one of the ladies came to our seat and gave us the go ahead to use the harness with for our son. Shortly after that we had him buckled in. This harness is so easy to install. All we had to do was lift the tray table behind my son’s seat, slide the belt over the seat and tighten. To finish, we slid the bottom of the harness through the lap belt and we were ready to go. Having the CARES harness along for our trip helped keep everything in order without the bulk and extra weight. Our son stayed buckled securely for most of the trip, which gave me the piece of mind I am always looking for without the stress of lugging around an extra piece of gear. 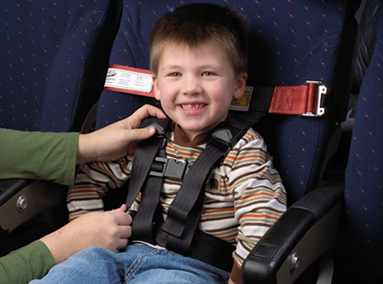 I highly recommend this harness to any parent looking to keep their child safe while traveling by airplane. It is beautifully designed, easy to use and convenient to store – all qualities parents-on-the go are looking for.